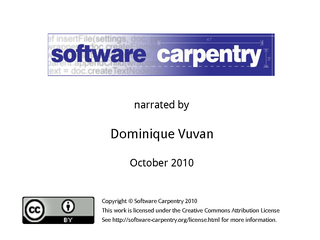 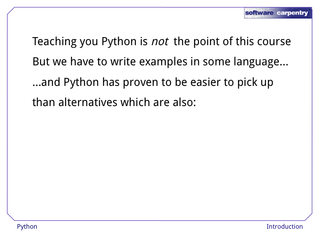 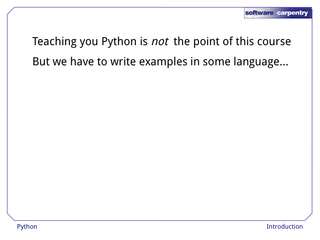 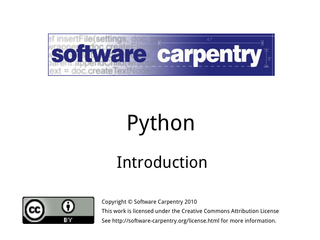 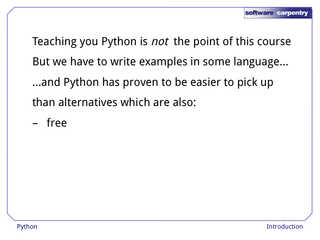 Hello, and welcome to the first episode of the Software Carpentry lecture on Python. 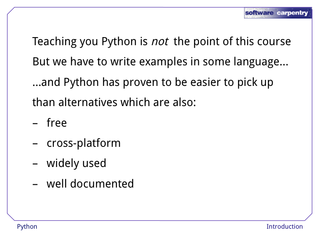 In this episode, we'll explain why we're teaching Python, and talk about how it compares with other languages. 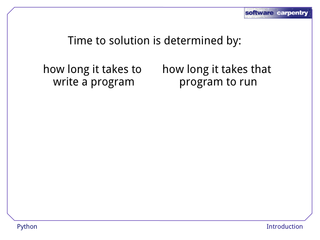 how long it takes that program to run. 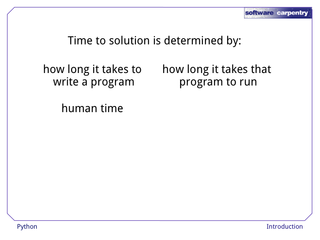 The first is human time: the time to get a correct program running is primarily determined by how fast you can think. The second is machine time: the faster the computer, the faster you'll have your answer. 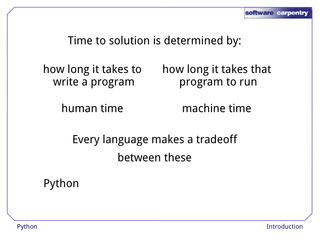 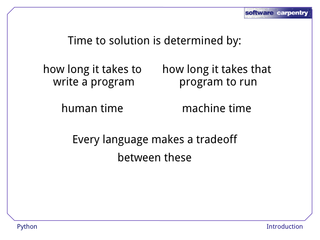 Every programming language makes a tradeoff between these two kinds of time. 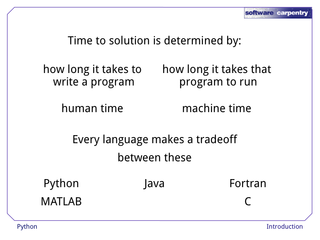 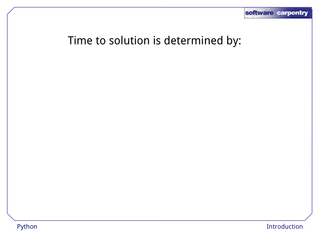 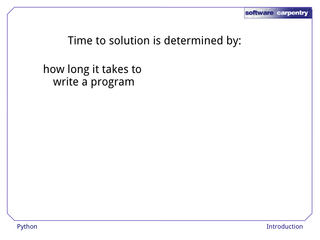 and MATLAB try to make programming itself faster by doing more for you. 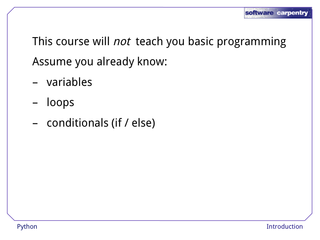 and C, on the other hand, do less for you, but also hide less from you, which allows for greater optimization. and C#, which do some things automatically, but leave others in your hands. 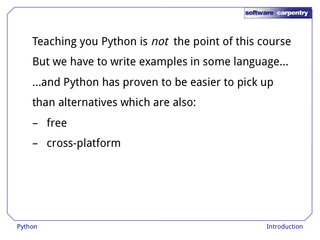 So, why have we chosen to use Python? 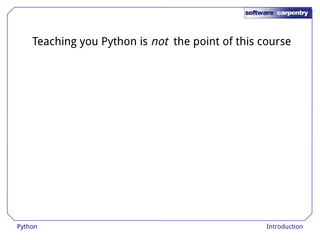 First, teaching you Python isn't actually the point of this course—what we really want to teach are computational thinking and fundamental computational skills. 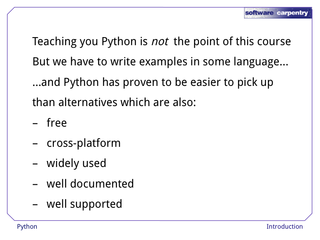 well supported: thousands of Python libraries exist, many of them written specifically for scientific applications. 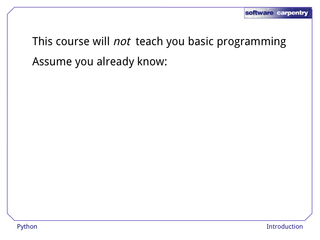 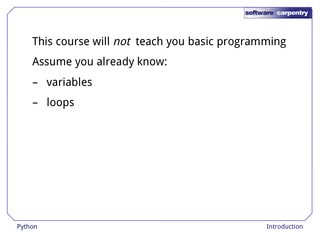 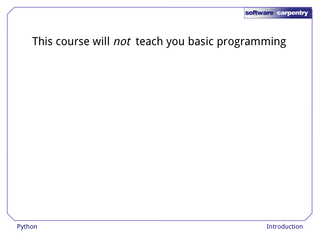 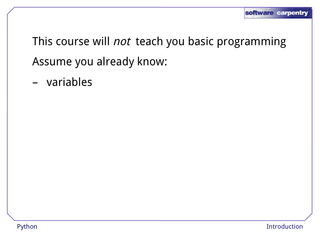 Before we get started, please note: this lecture will not teach you basic programming. how to read data from a file. What we'll do in the next dozen episodes is show you how to do these things in Python. 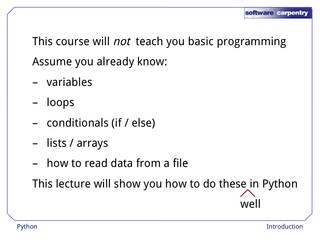 More specifically, how to do them well in Python.